Claudine and Gretchen Barretto ended their longtime feud. 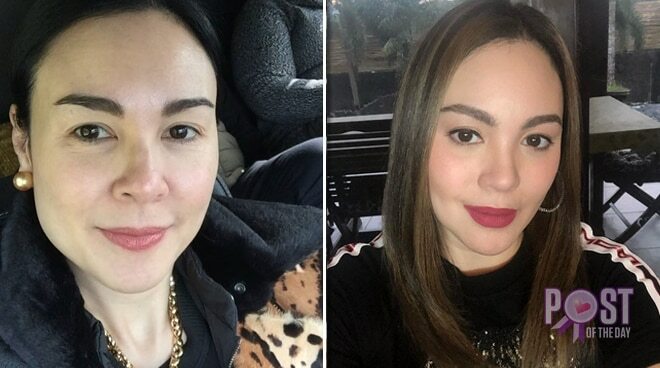 After their longstanding feud, sisters Gretchen and Claudine Barretto are now closer. During their Instagram live session, they shared how they started to bury the hatchet and build a new relationship. “When I saw Claudine, she was just the most humble little girl. I saw the Claudine that I wished to see,” Gretchen said. “There was a time I always said, ‘Parang si Clau, pakiramdam ko parang patay na.’ Kasi nandyan siya pero hindi siya ‘yun. Parang iba ‘yung ugali,” she added. “She said, ‘I love you. Forgive me, I missed you’ and I found myself uttering the same thing,” she said. Gretchen also shared what she learned from their public feud. Gretchen then said that she also met her nieces and nephew with Claudine.